Not since his 'Take that' days has pop star Robbie Williams been out of the spotlight for so long. 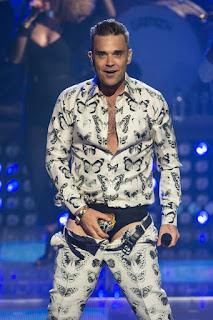 But to the delight of his fans, the long wait is finally over as Robbie Williams returns to the stage for the first time in 3 years in a sensational performance that was more than worth the wait. In this photos, the pop star stood in front of 1700 people with his trousers down and showed them that he still wears his famous tiger pants. Back for good? 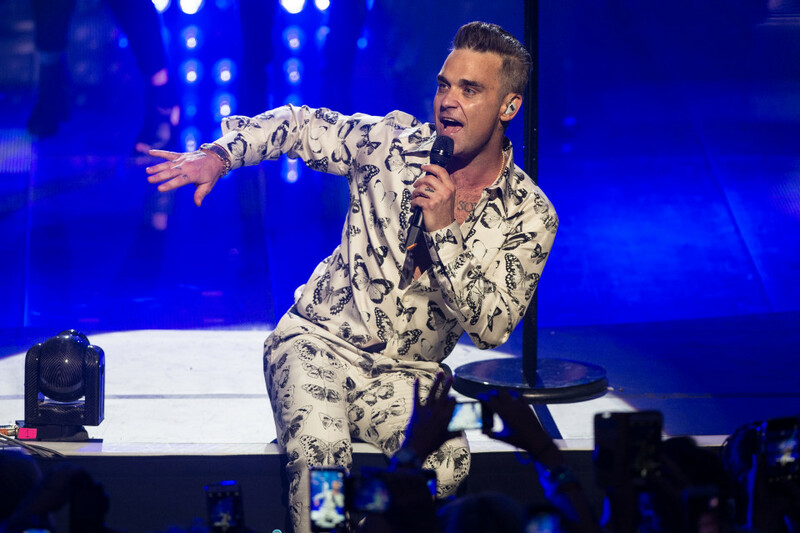 … Robbie Williams has announced his return after three years away. He was well decked up for the occasion. Dressed in a full white suit covered in black butterflies, with a slicked-back, jet-black quiff and his legs trembling, Rob was definitely channeling his inner Elvis Presley during the night. 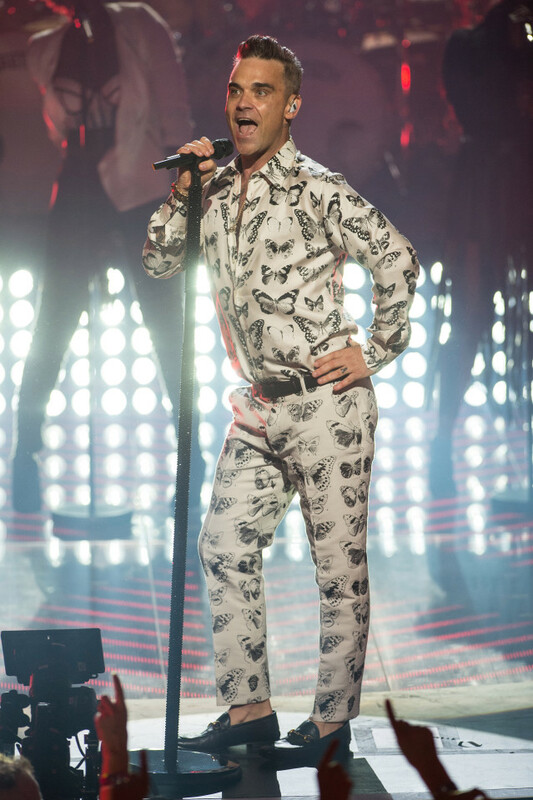 There’s not many pop stars alive who could come close to Elvis– but Robbie certainly does. Genius performer. Robbie managed the impossible job of cramming his incredible back catalogue into a two-hour set as part of the Apple Music Festival at London’s Roundhouse, performing everything from Let Me Entertain You to Rock DJ to a heavy rock version of TAKE THAT’s Back For Good. More photos. Even his 2001 Christmas No1, Somethin’ Stupid, got its first ever live performance, although Nicole Kidman was not present this time. There was one special guest, however – Robbie’s dad, Pete, who joined him for a duet of Better Man.